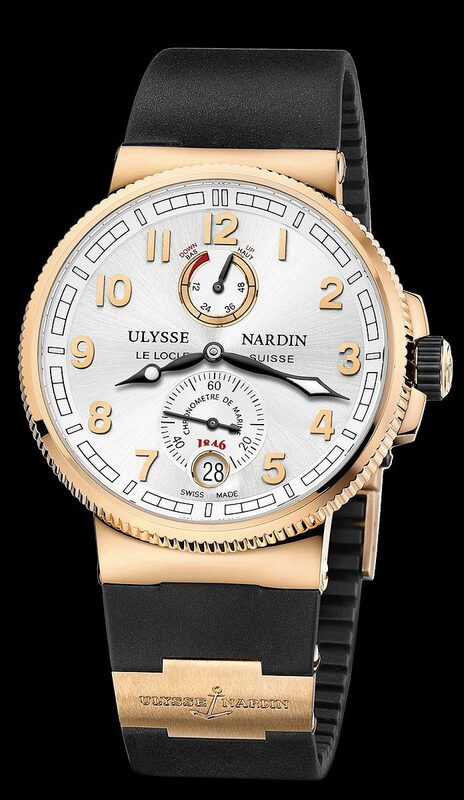 43mm, rose gold case, silver color dial, with applied arabic rose gold numbers, all in house Ulysse Nardin Manufacture movement, with date, and power reserve indicator. It features the exhibition glass back, with visible Ulysse Nardin rose gold rotor and anchor logo. It is available on a black rubber strap with folding rose gold buckle.